MASTIC, Long Island (WABC) -- A Long Island man is under arrest after authorities say he led officers on a chase and crashed into three police cars early Sunday. 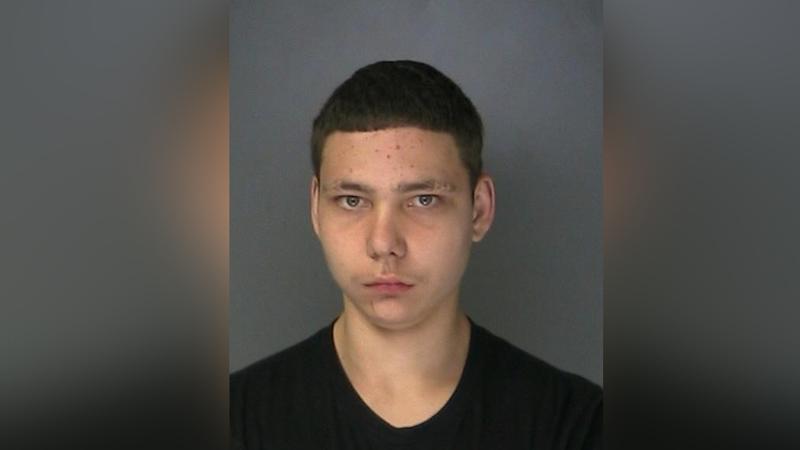 According to Suffolk County Police, 20-year-old Robert Noon was observed driving erratically in a 2006 Chevrolet Suburban on Winters Drive in Mastic at about 12:40 a.m. When an officer attempted to pull over the vehicle, police say Noon fled eastbound on Sunrise Service Road North, then northbound on Barnes Road, then southbound on Weeks Avenue toward a dead-end. As he turned he crashed into three police cars, and continued back to Barnes Road southbound. Police say Noon eventually lost control of the vehicle on Moriches-Middle Island Road, crashed into a utility pole, exited the vehicle and fled on foot. He was apprehended a short time later,. There were no injuries. Noon is charged with criminal mischief, reckless endangerment, unlawfully fleeing a police officer, driving with a suspended license and unauthorized use of a motor vehicle as well as a number of traffic violations.